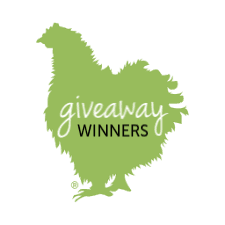 Tips for Selecting Chicken Breeds - That's The Breed I Need! 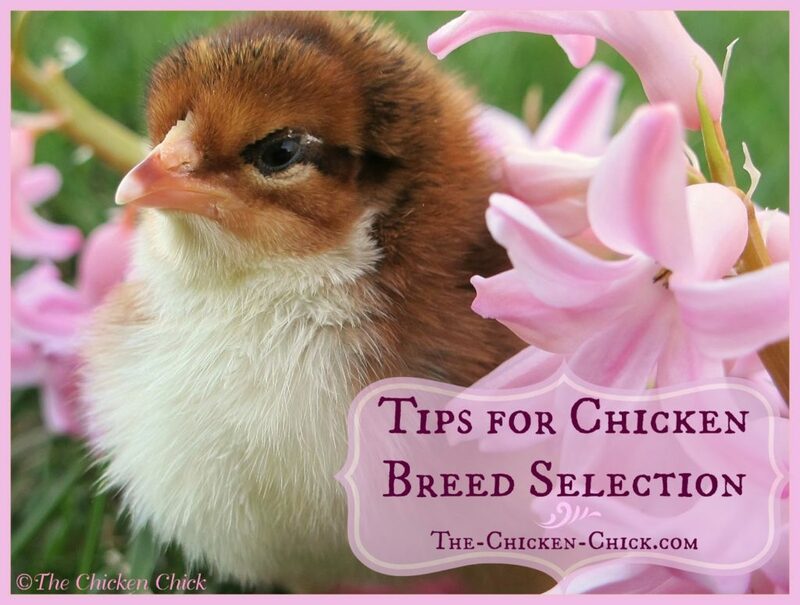 Home Chicken Topics Baby Chicks Tips for Selecting Chicken Breeds-The Breed I Need! 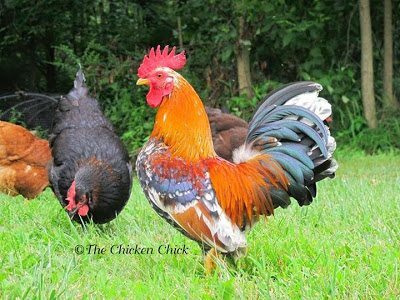 Tips for Selecting Chicken Breeds-The Breed I Need! 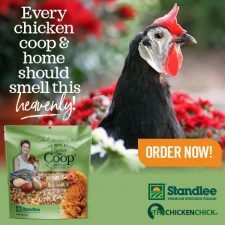 When assembling a new flock of chickens, the enormous array of breeds available to choose from can be daunting, but it’s important to make an informed decision about breeds in order to avoid disappointment for the chicken keeper as well as unnecessary challenges for the chickens. 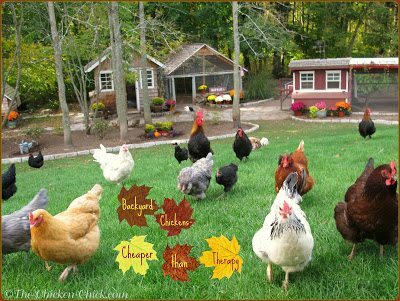 Some breeds do not fare well in certain climates, some are not a good choice for young children, some produce fewer eggs than others, etc. 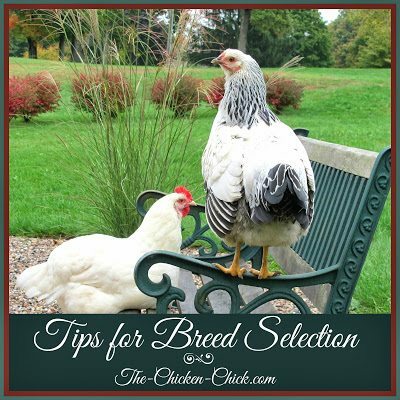 Below are some of the basic factors to consider in selecting breeds. 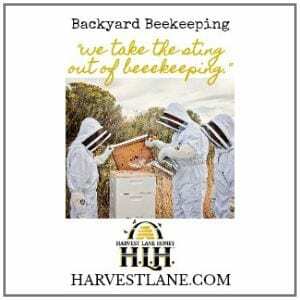 After the basics are established, the field of suitable breeds becomes much smaller and making choices becomes a much less daunting undertaking. 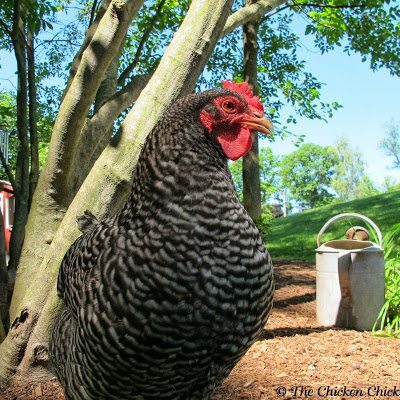 Most backyard chicken-keepers want laying hens, breeds that are reliable egg layers, not necessarily chickens that will be eaten, which are known as meat birds or table birds. 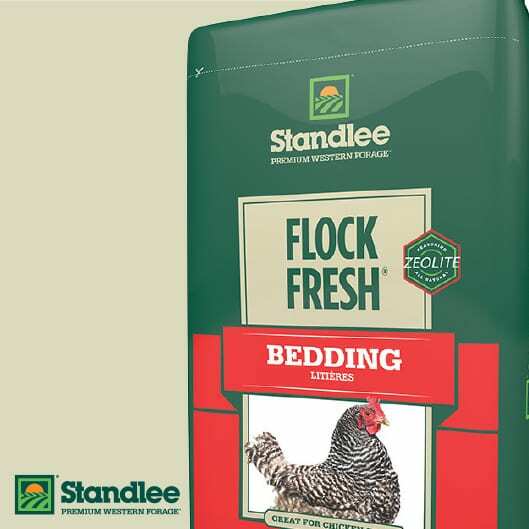 When selecting breeds, the term “dual purpose” indicates that the breed of chicken is a good egg laying bird that may also be processed for meat. 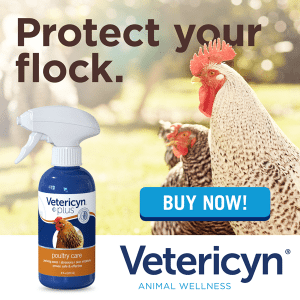 When good egg production is the objective, breeds that are known for being broody are not ideal because broody breeds often stop laying eggs in hopes of hatching chicks. 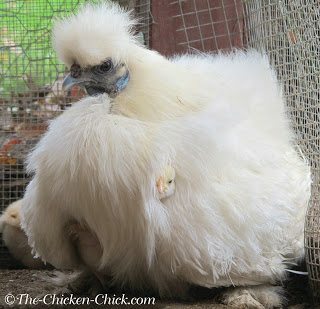 Freida is a White Silkie who would rather hatch eggs and raise chicks than do anything else and she is an amazing mother. 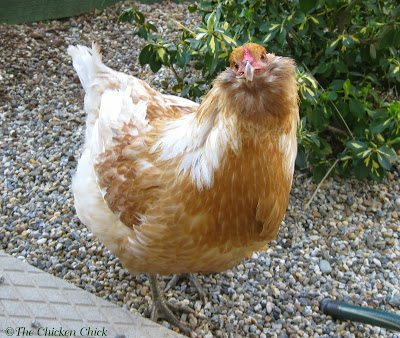 Some breeds cope better with cold weather than others due to heavy feathering; these are referred to as cold hardy breeds. 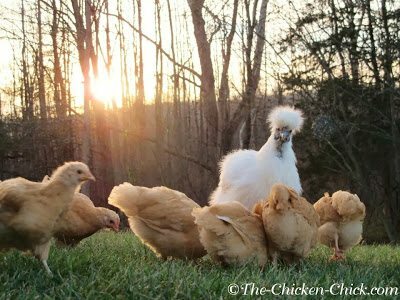 Breeds that fare better in very warm climates due to their lighter/shorter/sleeker feathering are referred to as heat tolerant. 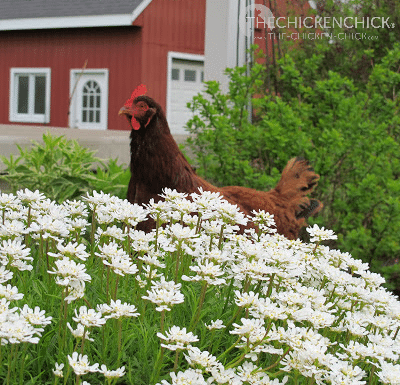 Kate is a Speckled Sussex. 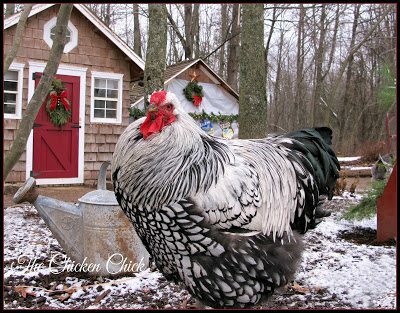 COLD HARDY BREEDS commonly include: Ameraucanas, Araucanas, Australorps, Brahamas, Buckeyes, Chantecler, Cochins, Delaware, Dominique, Faverolles, Jersey Giants, Marans, Orpingtons, Plymouth Rocks, Wyandottes, New Hampshire Reds, Sussex and Easter Eggers (a hybrid). 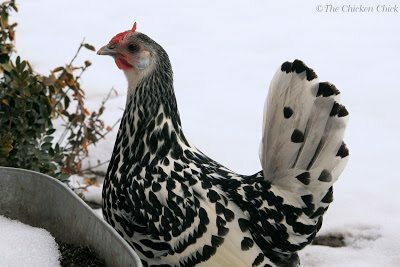 Silver Laced Wyandotte, a cold hardy breed. 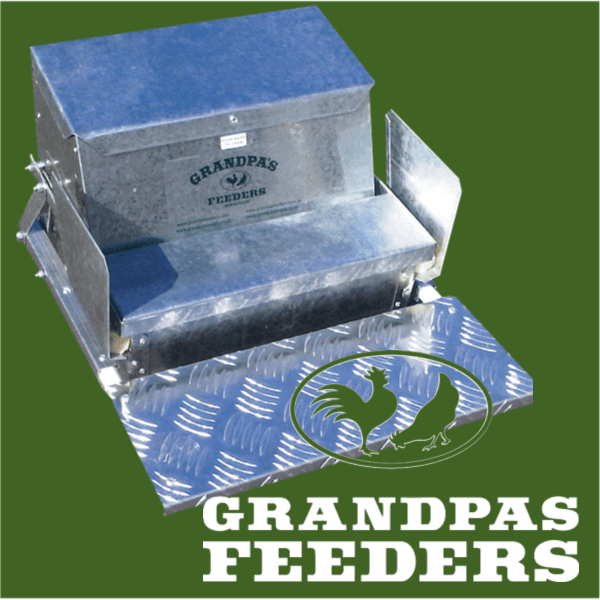 HEAT TOLERANT BREEDS commonly include: Andalusians, Appenzeller Spitzhaubens, Campines, Cornish, (NOT to be confused with Cornish Rocks, which are a meat hybrid) d’Uccles, Egyptian Fayoumis, Hamburgs, Leghorns, Modern Game, Minorcas, Naked Necks, Polish, Shamo, Sicilian Buttercups, Silkies, Spanish, Welsummers. 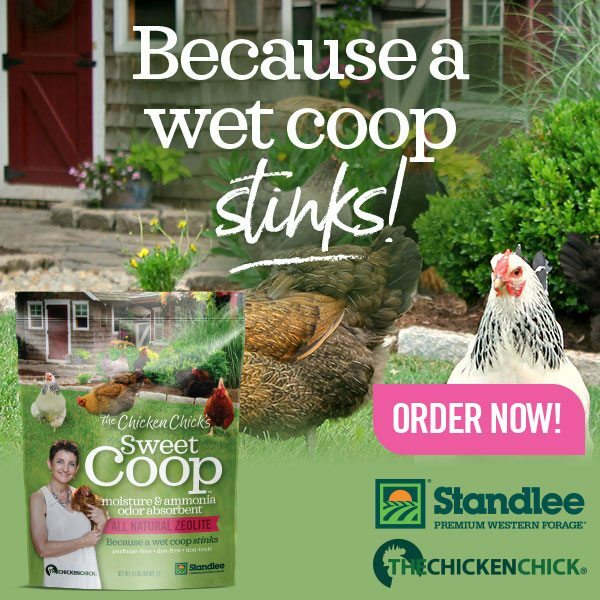 Dark Cornish hen, heat tolerant breed. 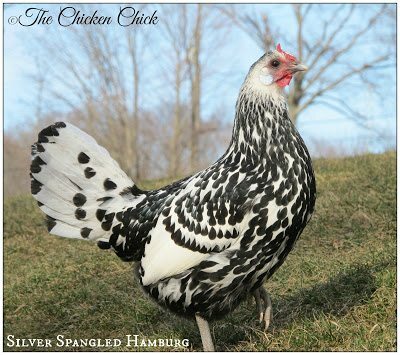 Silver Spangled Hamburg, a heat tolerant breed. 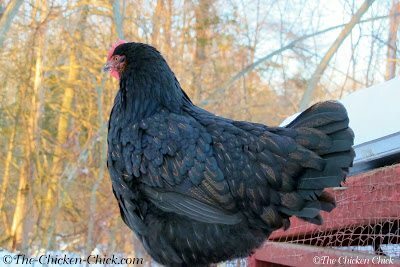 Minor frostbite on the comb of this Black Copper Marans rooster. 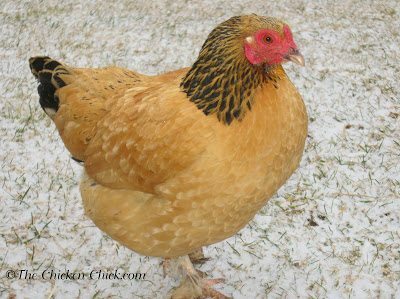 Breeds with prominent combs can be expected to have more challenges with frostbite in very cold climates than breeds with smaller, less prominent combs. 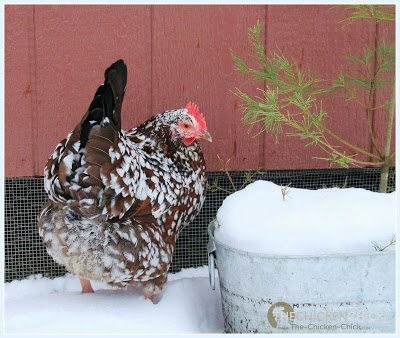 This is not to suggest that a heavy breed cannot live in a warm climate and a light breed cannot live in a cold climate, but seasonal accommodations would need to be made for birds better suited for a different climate such as in the case of the Marans rooster pictured above. 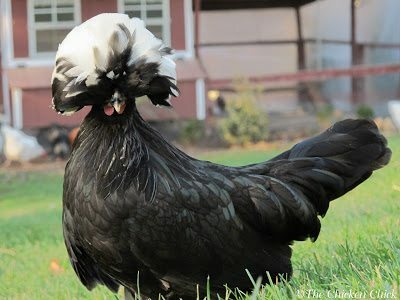 While each chicken is an individual with its own unique personality, generalizations can be made about breeds in much the same way as in dog breeds. 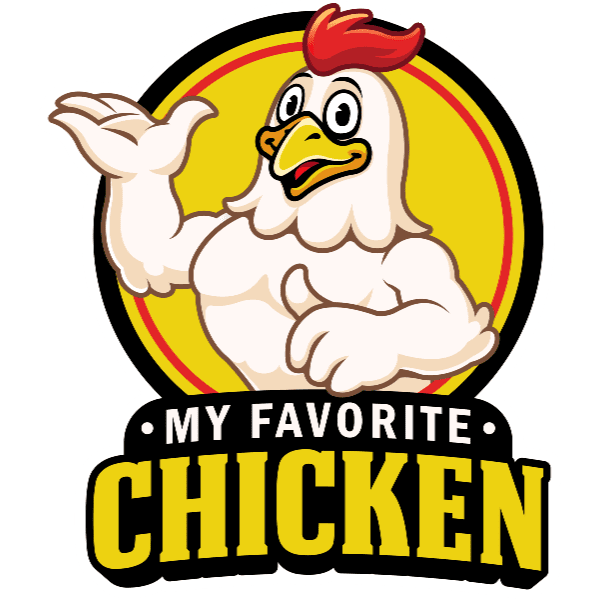 If a household has small children where a docile, friendly dog is preferred, a feisty Chihuahua is likely not the best choice; likewise, a Hamburg would probably not be a good breed choice if one is hoping for a mellow lap chicken. 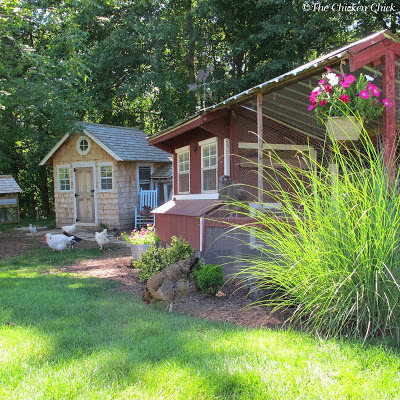 Chickens are often characterized as being docile, flighty, calm, friendly and bearing confinement well or not. 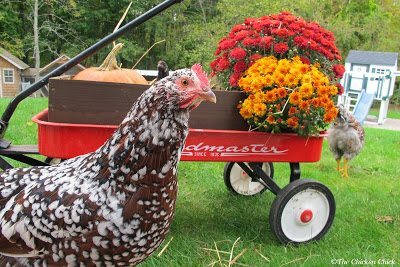 Kate is my Speckled Sussex. 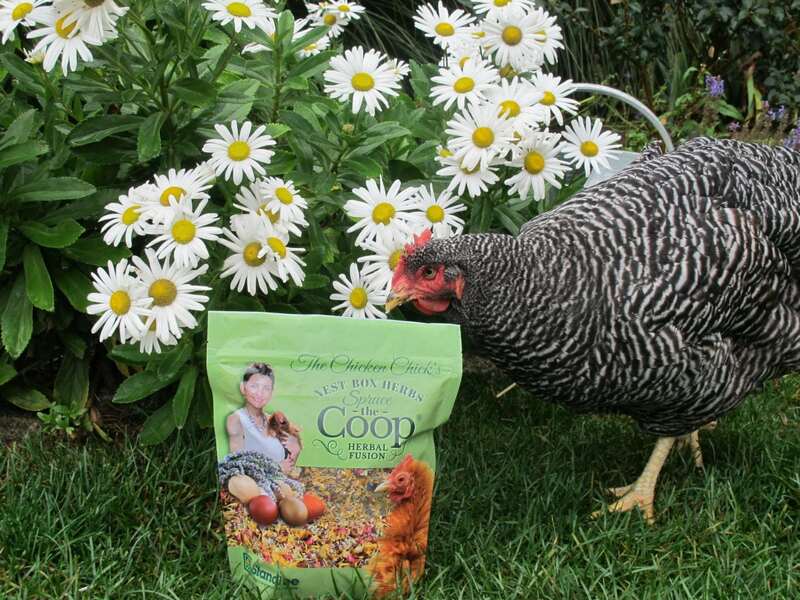 She is very friendly, inquisitive and docile. 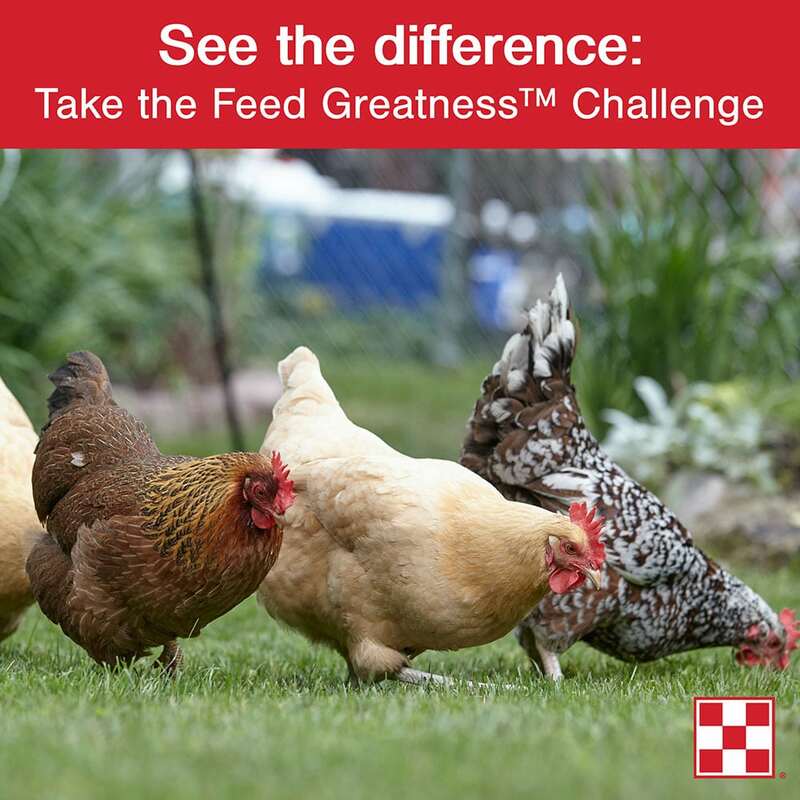 Breeds from left to right: Barred Plymouth Rock, Golden Laced Wyandotte, Easter Egger, Blue Ameraucanas. 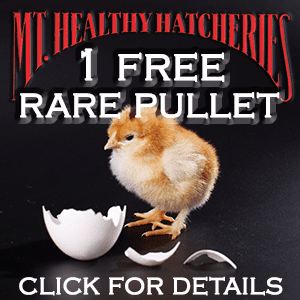 Each chicken produces a different egg color based upon genetics. 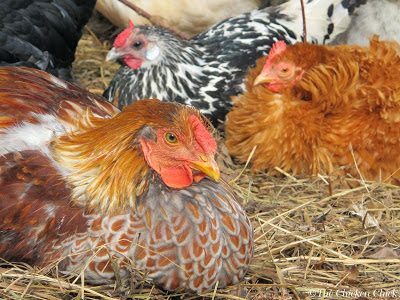 For some people, a colorful array of eggs is an important factor in breed selection, others, not so much. 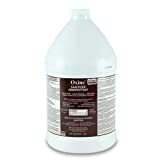 There are blue, green, dark chocolate brown, white and every hue in between to choose from. 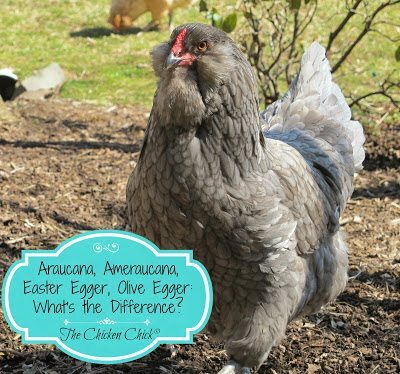 My neighbor insists on having a white egg-laying breed in her flock for the sole purpose of coloring eggs at Easter, while I prefer breeds that will produce fabulously colored eggs every day. 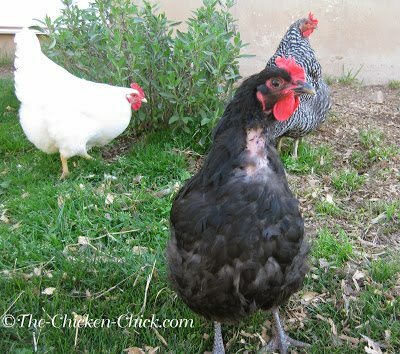 Blue Laced Red Wyandotte, Silver Spangled Hamburg & Bantam frizzled Cochin. 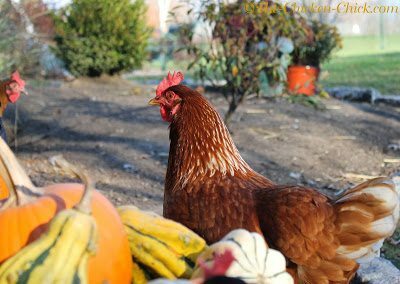 This is a Blue Ameraucana– she produces beautiful blue eggs. 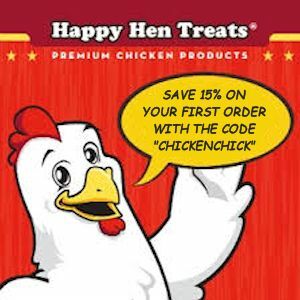 Shop carefully for this purebred chicken as many breeders and hatcheries mis-label hybrid chickens as purebreds. 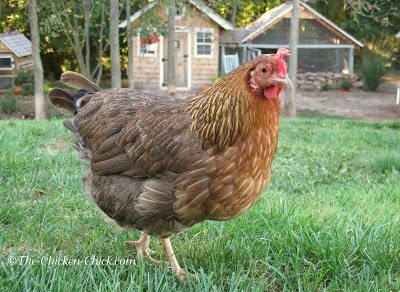 This is an Easter Egger, which is a hybrid mix obtained from crossing a blue egg-laying breed with a brown egg-laying breed. 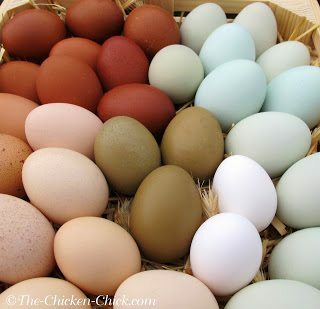 While Esther produced a blue-green egg, Easter Eggers can lay a wide variety of colors from light brown to blue, olive green and everything in between. 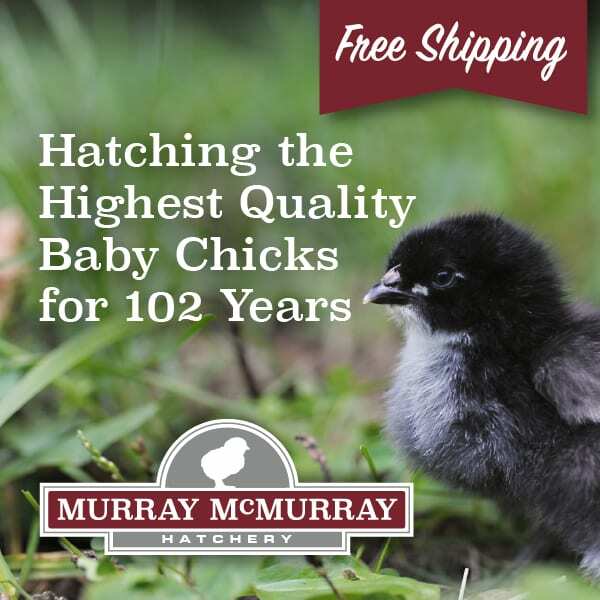 Black Copper Marans. 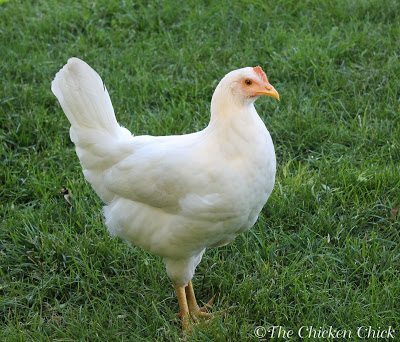 This breed is capable of laying dark chocolate brown eggs. 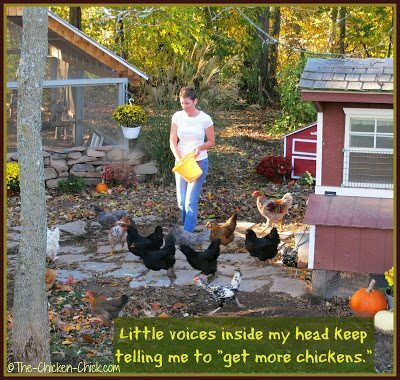 These eggs were from my Marans pullets. 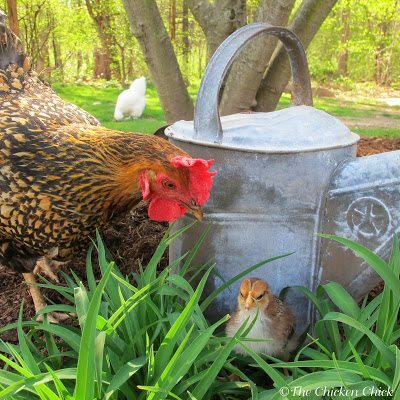 Some breeds are predisposed to hatching eggs more frequently than others. 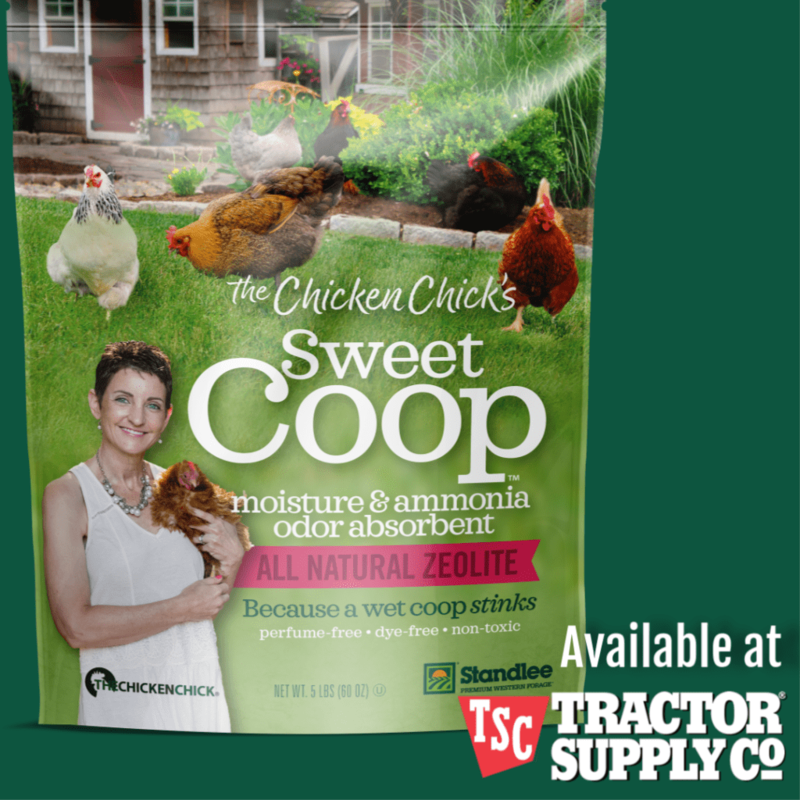 If a high rate of egg production is important, a broody breed such as Silkie or Cochin may not be the best choice. 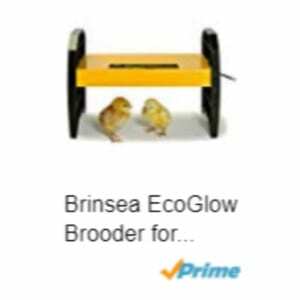 If one wishes to have hens hatch and raise chicks, broodiness is very important and either Silkies or Cochins are excellent choices. 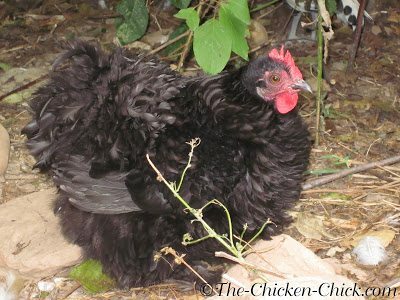 Monica, a Black Cochin Frizzle, is a breed known for being broody. 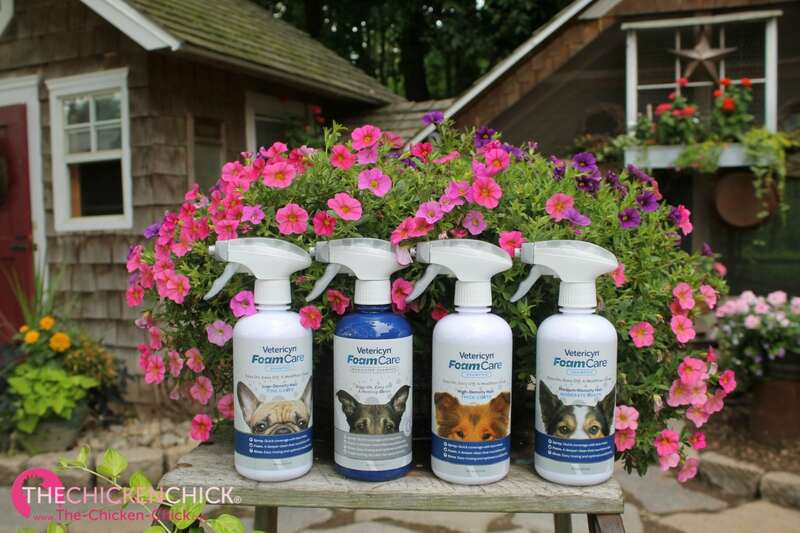 After the five primary considerations are taken into account, the selection process is fun! 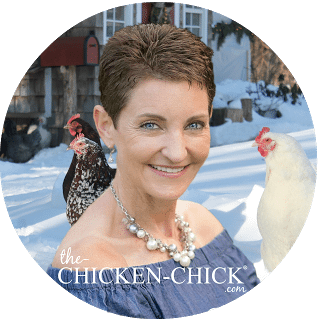 Here are some of the fun breeds I felt I needed when chicken math set in! 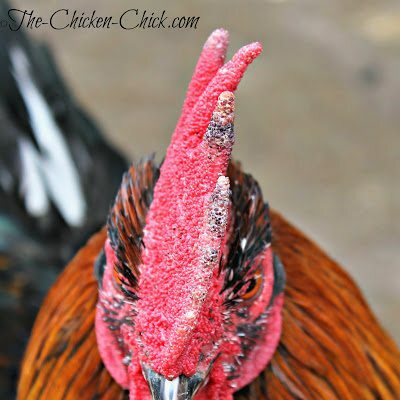 My handsome Serama rooster. 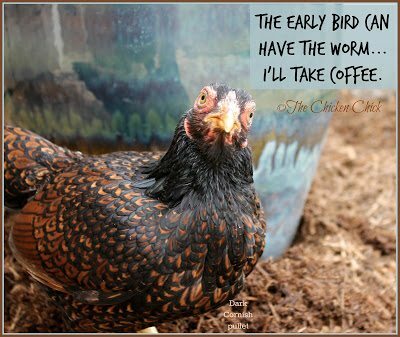 He was hatched from an egg I got from a breeder. 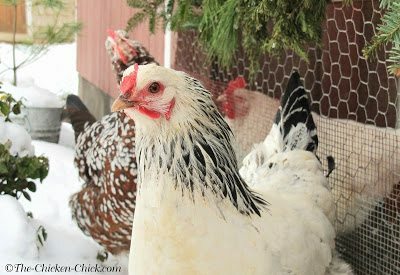 20+ Winter Boredom Busters for Backyard Chickens! love this page. 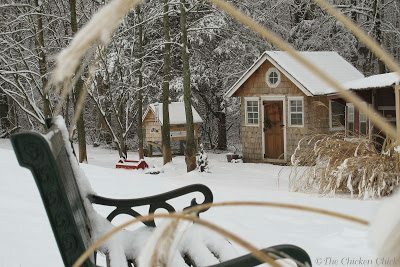 I am working on a proposal with a local philanthropist. 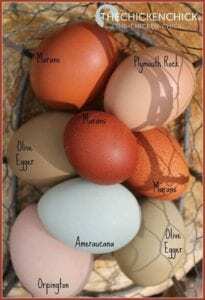 I would like to request the use of one of the egg images–with the kalidoscope of beautiful colors. 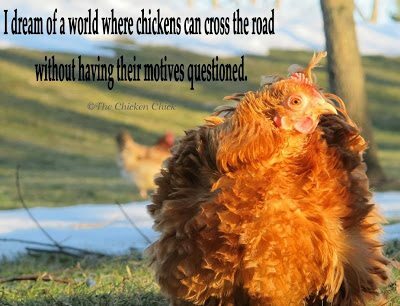 With full credit, of course, the the photographer/owner of the image. 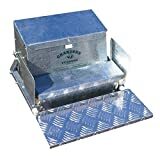 Cool, cool stuff! 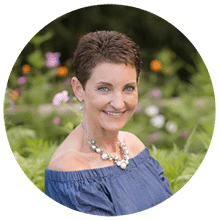 Thank you for this great, thoughtful article. 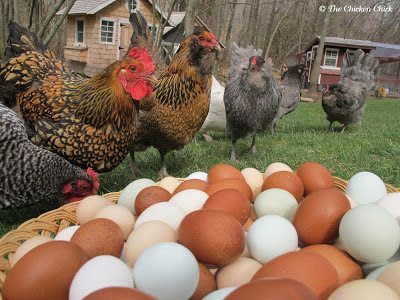 I want to go with a Large Brown Egg Breed, dont care what shade of brown the egg looks like. 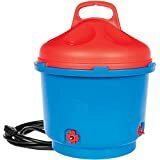 The Wife and I are beginners, built a small cope for our back yard, buy baby chicks at the local Feed Store but getting small eggs. 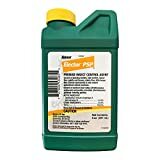 So what do you guys suggest ?